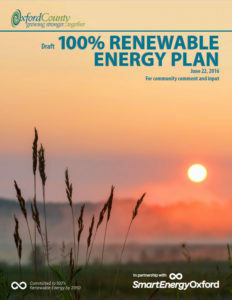 Where once there were none, now one dozen Canadian local or regional governments have taken steps towards 100% renewable energy (RE) in some form. Beginning with Vancouver in March of 2015, these moves mirror an international trend. This post provides a high-level update on the state of play of 100% renewable energy in cities, in Canada. It highlights new goals, progress towards implementation, and welcomes new local governments to the fold. 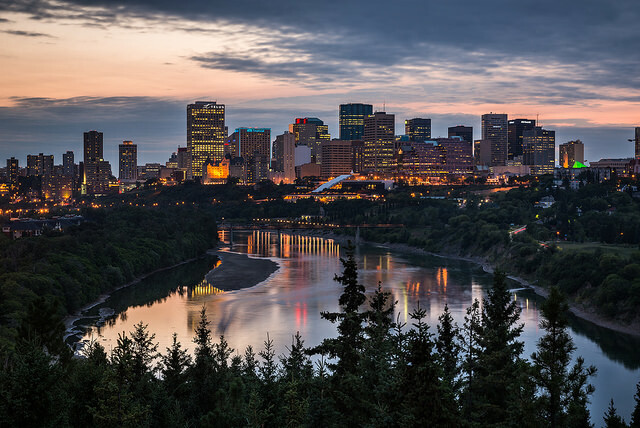 The City of Edmonton, fresh from hosting the IPCC’s inaugural Cities & Climate Change Science Conference (and inspiring the aptly named Edmonton Declaration) is taking steps to reduce energy use and shift to renewables. In May, Edmonton’s city council asked staff to develop a plan to cut carbon emissions in half and shift to 100% renewable electricity for city operations (not the wider community) by 2030. Under the plan, Edmonton would purchase 440 electric buses and retrofit 100 city buildings. For its part, the Township of Banff, issued a report outlining options for 100% renewable electricity and heating in November 2015. Banff has yet to formally adopt a target. The City of Vancouver adopted its Renewable City Strategy in November 2015—the first jurisdiction in North America to create a comprehensive 100% renewable energy target. Since then, the city has developed an ambitious EV charging infrastructure strategy, enacted a Zero Emissions Building Plan, agreed to expand its Neighbourhood Energy Utility. Vancouver has also made strides on expanding active and public transit. Not to be outdone, B.C.’s capital, the City of Victoria adopted a 100% renewable energy target in August 2016. Presently, the local government is updating its draft Climate Leadership Plan, which outlines strategies for how the city will move to renewables for buildings and mobility. An updated plan is scheduled to go before council in July. 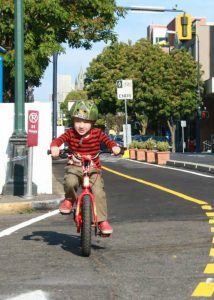 Recently, Victoria adopted the new BC Energy Step Code and has installed some serious cycling infrastructure via “Biketoria”. Next door to Victoria, the District of Saanich has branded its climate plan “100% Renewable & Resilient Saanich”, which will be fleshed out over the coming 12 months. Like Victoria, Saanich is trying to bring in the BC Energy Step Code and building its notable active transportation plan, #MovingSaanichFWD. The District has also procured funding to move major municipal infrastructure towards renewable heating. The City of Nelson—notable for its on-bill financing program for building retrofits and status of being home to Canada’s first community solar garden—committed to 100% renewable energy in January. The Regional District of Central Kootenay board of directors committed to 100% RE in May, pledging to support corporate measures and regional programs. The Village of Slocan resolved that it would develop strategies and work to implement 100% renewable energy in late 2017. According to Mayor Lunn, the local government is seeking to develop a micro-hydro project in support of the goal. In May 2018, Guelph’s city council approved a corporate 100% renewable energy target—inclusive of water and waste management, city vehicles and buildings, and transit—and directed staff to report back on how to best achieve this goal. The local government also endorsed a slate of other recommendations that dovetail with work already underway in Guelph, including a goal to reach net zero carbon emissions by 2050, develop retrofit programs, encourage residential solar, and to convert Guelph Transit buses to an all-electric fleet. A long-standing member of the 100% RE club, Oxford County has renewed their 100% renewable energy plan and is emphasizing green building. Last week the county cut the ribbon on a net zero energy waste management and education centre and will be building all future social housing to net zero or Passive House standard. Oxford County is also planning a future sustainability cluster building, which will also be built to Passive House standard. Over 50 electric vehicle charging stations are also in the works. In February 2019, P.E.I.’s capital city of Charlottetown adopted a community energy plan that calls for a “…carbon neutral, diverse and economically strong community, powered only by renewable energy.” With the move, the City of Charlottetown becomes the first local government in The Maritimes to commit to an energy transition. The plan includes a community-wide 100% renewable energy target, for electricity, heating and cooling, and transportation, as well as a projection to cut community energy demand in half by 2050. 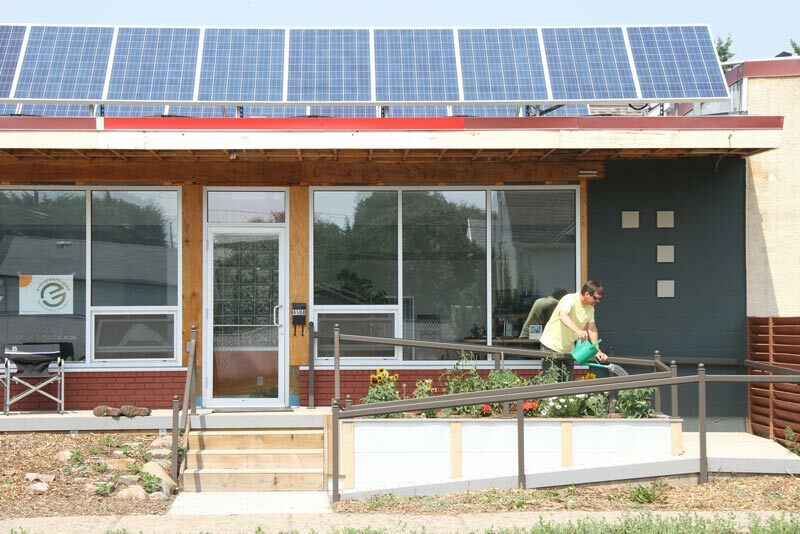 The prairie province’s capital of Regina started the process to become a renewable city by kicking off a council motion on October 29, 2018. The City of Regina’s elected leaders asked staff to report back in late 2019 on a framework and implications on moving to 100% renewable energy. It’s unclear to which sector—electricity, heating/cooling, and/or transportation—the framework would apply to. With this progress, it’s safe to say that municipal 100% renewable energy in Canada has come a long way in just three short years. Now, with a high-water mark in terms of number of commitments, a focus on implementation will help to realize these ambitious goals. Featured image courtesy of Green Energy Futures. Image of cyclist courtesy of the City of Victoria.